President Trump wants more transparency on drug prices in order to help patients save billions on drugs, Health and Human Services Secretary Alex Azar said. Johnson & Johnson became the first drugmaker, on Thursday, to take action. Taking the matter into their own hands they said they would start showing the list price of its prescription drugs in television ads. But it was just a few years back that Mylan, the maker of the EpiPen, came under fire for price increases. The CEO, Heather Bresch, defended the company by blaming part of the $608 price tag on the middlemen. Azar said Trump’s proposal addresses these kinds of issues by completely overhauling how drug prices are decided by pharmacies. 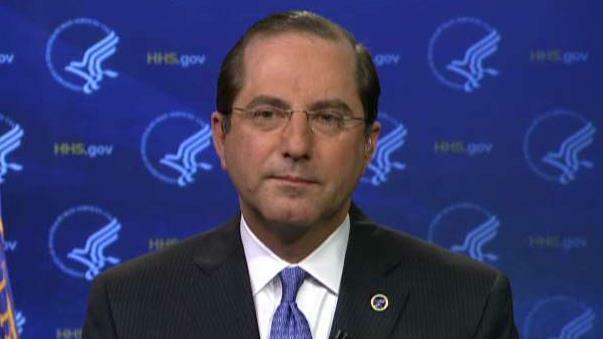 Azar added that patients should begin to see the benefits of the discounts by early next year.